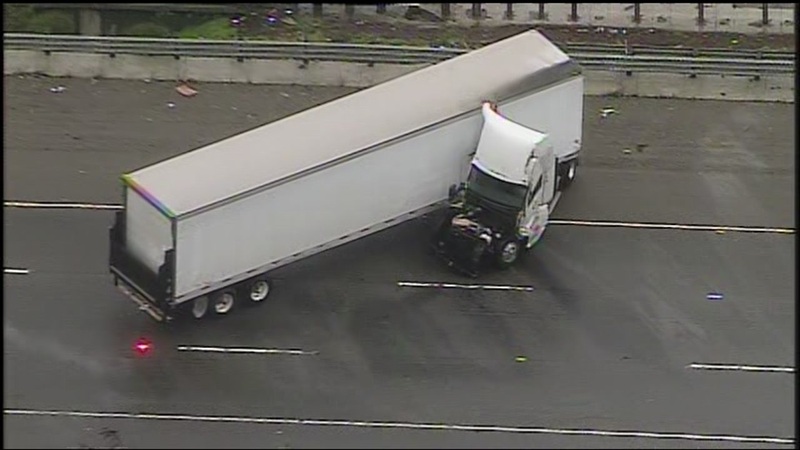 OAKLAND, Calif. (KGO) -- A big rig accident in Oakland caused delays for drivers as a strong storm moved through the Bay Area Tuesday morning. The truck jackknifed on Northbound I-880 near 7th Street around 10 a.m. Some fuel was spilled in the crash, but crews were able to clean it up. All lanes were cleared, and the roadway reopened to traffic around 10:45 a.m.
No other details on the driver's condition were immediately available.